A poor Senegalese villager (Makhouredia Gueye) finds himself confronting endless bureaucracy and corruption while trying to cash a money order sent by his nephew in Paris. Ousmane Sembene’s second feature-length film — after his acclaimed but flawed 1966 debut, Black Girl — was this absorbing, relentlessly cynical look at corruption in post-colonial Senegal. 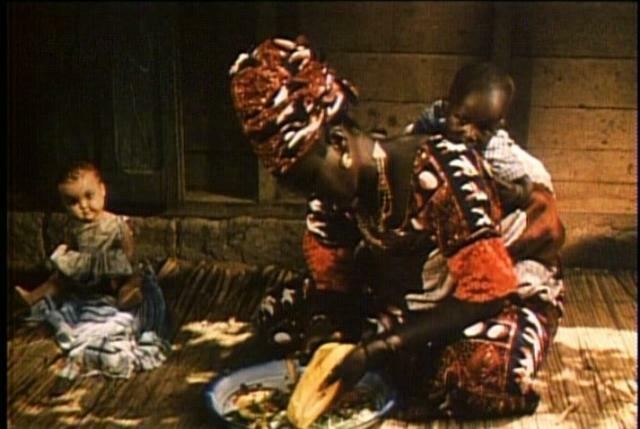 While its lead protagonist, Ibrahim (Gueye), is initially not all that likable — opening shots show him wolfing down an enormous meal, belching profusely, and ordering his wives around — he nonetheless quickly becomes the most sympathetic character in the film, given the ceaseless roster of charlatans and “beggars” he encounters during his travails. In order to actually secure the money he’s supposedly inherited from his nephew, he must find a way to turn a slip of paper sent from abroad into actual cash — a seemingly straightforward process which turns into a true living nightmare. Ibrahim (who is illiterate) finds that in the paper-trail legacy the French have left behind, it is no longer enough simply to state that one exists — one must prove it, in specific, written detail. Yet how can one prove one exists without… prior proof that one exists? It’s a devilish dilemma, and one that Sembene handles with masterful humor — up until the point when Ibrahim’s attempts are foiled for what seems like the umpteenth time, and Sembene’s central thesis (that “decency has become a sin in [Senegal],” and that “in a country like this, only crooks live well”) is made eminently, depressingly clear. Despite its undeniably downbeat trajectory, however, Mandabi (which translates literally into “money order”) remains fascinating simply for its unprecedented ethnographic portrayal of Senegalese village life. 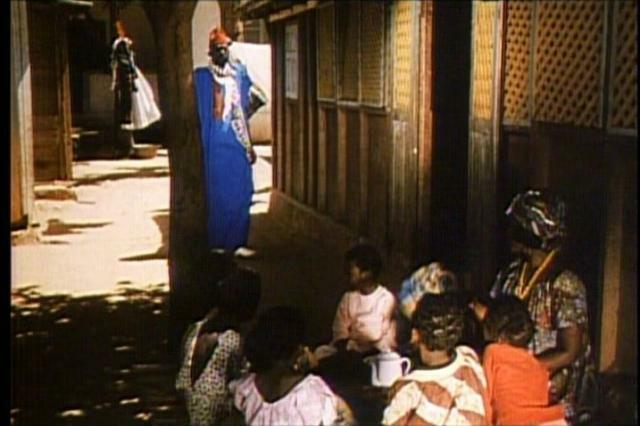 Sembene’s ability to slyly slip in visual commentary on the influence of Western norms (watch for the white European doll being washed and played with by the young village girls, for instance) is impressive; and his attempt to call out the impossibility of maintaining civil, logical interactions with one’s fellow citizens in an environment tainted by colonial norms is undeniably essential. Yes, as a depressing but revealing film by the world’s premiere African director. Listed as a film with Historical Importance and a Personal Recommendation in the back of Peary’s book. The film is very one-note. Yet my reason for agreeing that it’s a must is the fierce power of that single note. I can’t imagine living this life on a daily basis: the lies people tell each other (quite often just to survive, though you’re never sure when that is and isn’t the case); the sense of corruption that hovers over the town; the often-hypocritical aspect of all of the praying. The first fifteen minutes are the hardest since the pacing is so slow and deliberate. Things do kick in some once the money order arrives but, again, the repetitiveness of the proceedings make for a bit of a haul. Ultimately a valuable piece of cinema (and human) history, for what it reveals. But not at all humorous, I think; not this reflection of what people are capable of in certain circumstances.